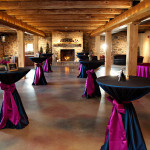 Please take a tour of the rustic elegance that is Harvest View Barn at Hershey Farms. We provide the stage for your guests to have a unique and memorable experience. The lower level of the barn features a grand fireplace and original stone walls. A sweeping staircase leads to the second floor where original wooden beams and weatherboarding provide the backdrop for dining and dancing. Outside the barn, a grassy knoll area gently slopes to the pond featuring a fountain, island with a gazebo and graceful swans. Originally built in the 1800's, the farmhouse adjacent to the barn is available for bridal parties to get ready on their special day. "I wouldn't change a thing about the venue or the staff! It was amazing experience! We had the best day ever! 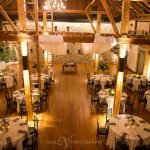 Thank you Harvest View for giving us the wedding of our dreams! Absolutely stunning! "